The next step is to knock out most of the scenery. 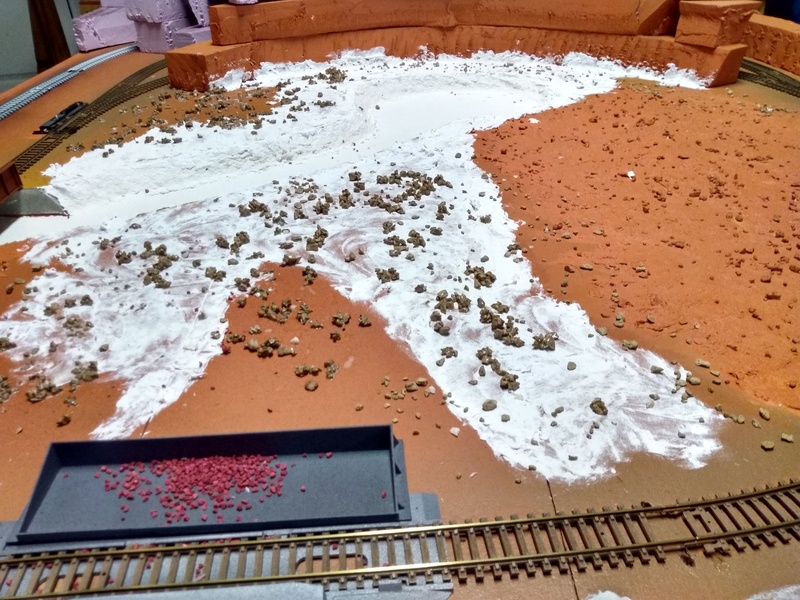 I finished the big mountain that contains the mine the same way I did the diorama. 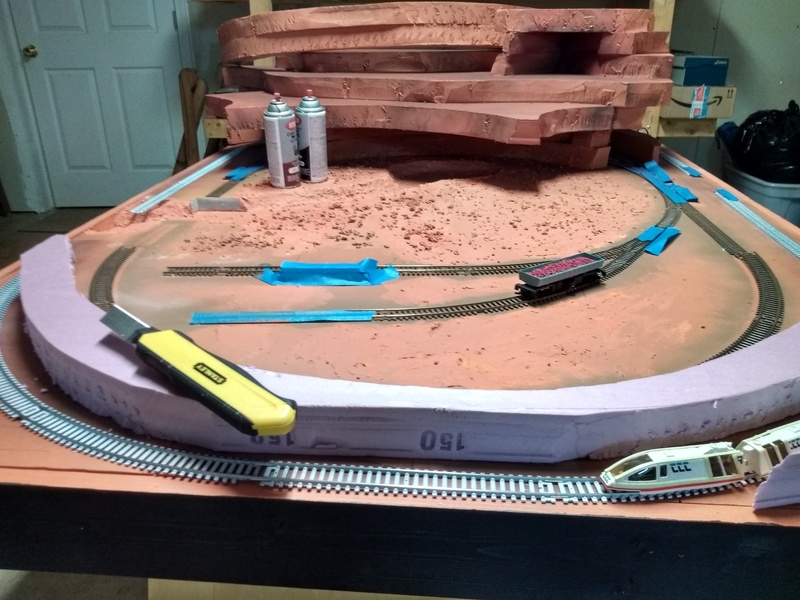 I stacked the 2 inch extruded foam and cut it to shape to allow for the three tracks that go through the mountain. Again, I didn’t smoothe the edges, but left it rough cut to suggest a terrain like a quarry. I dug out the slime pit and stream, then sealed the bottom with patching plaster to give some texture and hide the plywood grain. Then I covered it with Sculpamold to smooth the banks to give some texture. I glued down some small rocks (“talus”) to simulate the rocky planet surface. The extruded foam has score marks every 16 inches, so I covered those with plaster as well. The whole thing was painted Peking Orange and then weathered and blended with various ruddy shades from rattle cans. I even created a bit of a cave on top in case there happens to be a spider robot that needs a place to hide! Inside the mountains of the Mines of Xenon model railroad. Some final clearance work and painting still needs to be done. The bottom of the stream was painted various shades of green starting with bright on the outer edges and then blending towards black in the center. I’ll add some reeds and debris in the next step. 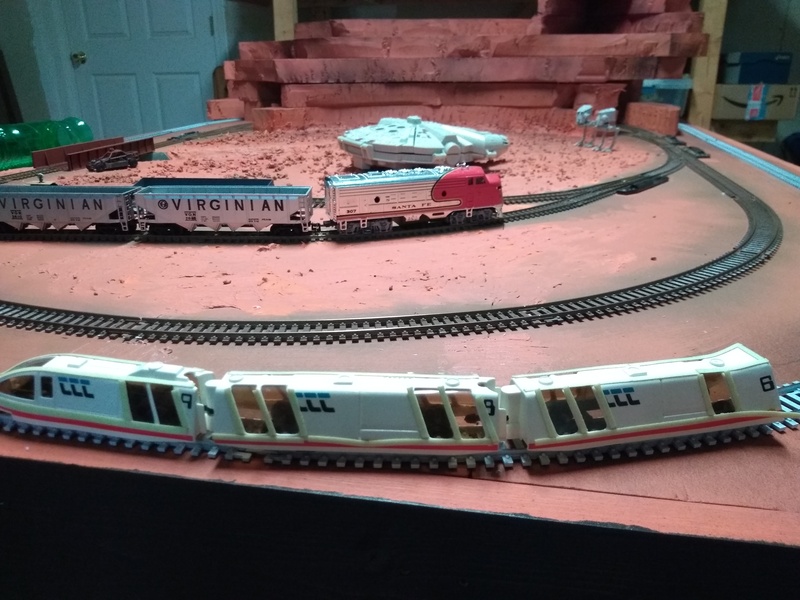 I needed a little more room at the end where the turbo station is under a hill, so I extended the passenger (white) track another couple of inches. Two inches is a lot of room when you’re making an underground tunnel! 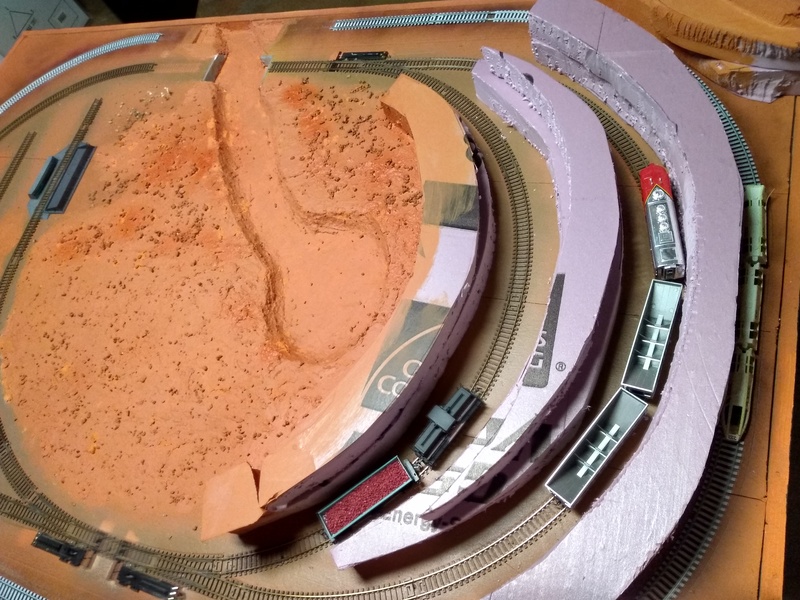 I also deconstructed the Turbo Train power section and moved the connector parts under the layout and fed power to the track with standard feeder wires. The result looks much better. And I got some new work vehicles suitable for the environment. 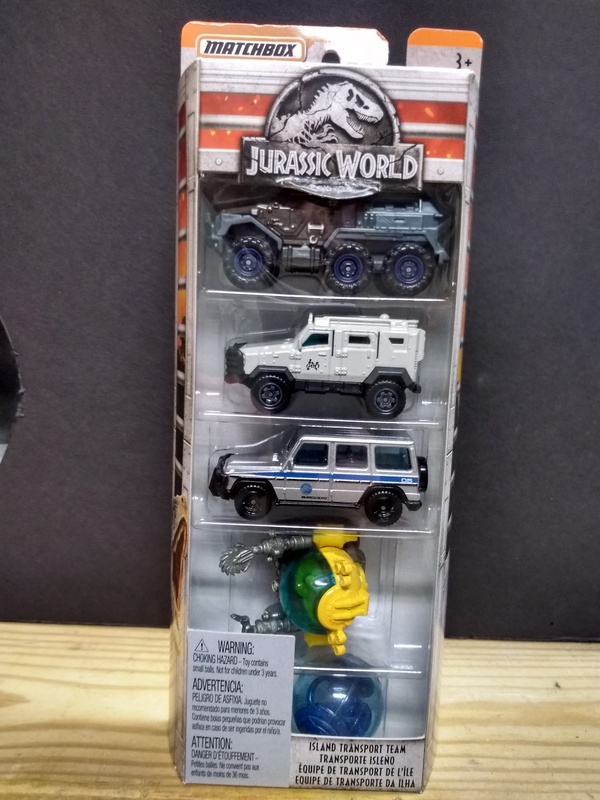 Jurassic Park? Who cares! Fun! Next we’ll finish detailing the slime pond and creek bed and pour the resin.